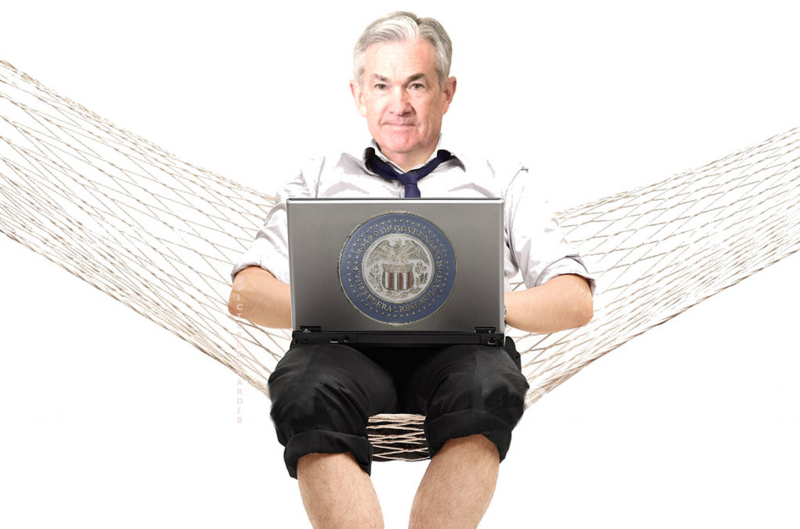 The Federal Reserve isn't worried about inflation. That much is clear but what's new is that several officials have talked about letting inflation run a bit higher than 2% for a short period. "Fed Governors meanwhile, appear to be lining up behind a view that a period of inflation overshooting its target would be a 'good thing' and as economic data remain mixed and inflationary pressures remain very modest," writes Soc Gen's Kit Juckes today. The consistency of the remarks is unusual and makes me believe that it's part of a coordinated strategy. That might be in part to anchor the idea that they're on hold but I think there are broader factors at work. The Fed has been worried for years that inflation expectations are sinking too low. They're also cognizant of missing their 2% target for 10 years. How they have acted is that as if 2% is a ceiling rather than a target. To regain credibility on that front, they need to let inflation run above target for a time, even if it's only headline inflation. Right now, commodities are cooperating. The problem is that they've done this before. An inflation overshoot was something that PIMCO touted last year and never materialized in part because the Fed got too eager to hike. It might be awhile before we find out. At the moment, the market is pricing in a 40% chance of a cut before year end.